Why YOU need a Navigation Unit! Giving a brand new navigation unit to a blogger who actively resists electronic gadgets and openly prefers to use actual paper maps could have been a risky move for Hema Maps. AND … giving that blogger TWO brand new units would have been downright foolhardy! When Hema Maps contacted me about collaborating with them I was thrilled. I’ve got a LOT of the actual paper maps and even actual books they’ve produced – my #1 essential for a road-trip! I smugly told them I used actual paper maps – especially theirs – all the time. And I’d NEVER defiled my car with used a GPS. Because who needed anything other than actual paper maps to find their way around?? Yes, I thought, this is where Hema Maps and I join forces to show the world that actual paper maps RULE, OK?! A bird’s eye view of Gulf St Vincent, South Australia on my first HN7 Navigator Trip! ‘We’d like you to review one of our Hema Navigation Units AND give another one away to your readers,’ they said*. Say WHAT? Hema Maps had GPS Units? And they wanted me to use a GPS instead of ACTUAL PAPER MAPS??? Hema Navigation Units VS Maps! I guess they figured if someone like me could – and more importantly, WOULD – use a Hema Navigation Unit, then ANYONE could. So I agreed, on the proviso they throw in one of their superb books of actual paper maps for me to fall back on**. So now I had two different Hema Navigation Units – the Hema Navigator HN7 model, and the new state-of-the-art Hema HX1 Navigator. One for me, and one to give away (Please note the giveaway has now closed). Making the choice was a no-brainer for someone with the IT skills of a dinosaur. So of course I chose the HN7 unit purely because it’s the less hi-tech model!! The Dinosaur meets the HN7! So I got my Hema Navigator HN7 Unit in the mail. Just for the record, I have a dumb phone. I’ve only had a laptop with a touchscreen for a few months and I don’t have any kids with innate programming abilities. That makes setting up ANY electronic gadget more difficult than it should be – so the fact that it took me awhile to get the HN7 up and running doesn’t reflect at all badly on the unit itself – and who knew how helpful the user manual would be when I actually opened it?!?! Despite being IT challenged, setting up and personalising the basic functions was really pretty simple – even for me, once those simple manual instructions kicked in – meaning the average user will have no difficulties. So now I had a personalised unit AND a rudimentary knowledge of its functions. Nice. BUT … what did I do with it now?? Putting my actual paper maps aside – perhaps forever?? – was a bit of a wrench. But I forced myself to do it in the name of research. And progress. And – if I’m being completely honest – a little bit of excitement as well. It’s not every day you get the chance to prove you’ve moved into the 21st century, technologically at least! So I took the unit out on the road around the suburbs, and on a longer trip to the Yorke Peninsula so I could test out both the iGO (street view) and Track (4WD) navigation engines. And it didn’t take long before I could see some of the benefits the unit had over my actual paper maps. So much so that compiling a list of the 8 TOP things I love most about my Hema HN7 Navigation Unit was super-simple!! The entire set of Hema Regional maps fits into a 175 x 110 mm device with a 7 inch screen smaller AND lighter (300 g) than the smallest Hema Maps Book. An immediate GPS fix lets you know EXACTLY where you are. This reduces the length of time between a ‘where the hell are we’ request, and your answer considerably. It’s almost impossible to take a wrong turn, but when if you do a new route to your destination appears within seconds. If you’re using the 4WD platform, a line even shows you how you got to where you are! The HN7 made finding this little loo at The Rocks Reserve, Balaklava EASY! Useful features like route selection parameters (Fast, Green, Short and Easy), an alternative route recalculation and different transport modes make the unit SUPER versatile! Save an interesting place or campsite (or bakery) as a ‘Waypoint’ if you want to come back to it another time. Or save a point of interest as a waypoint on the way to your current destination and the route will create a detour. Don’t want to travel on dirt roads? Or tollways?? Just change the route settings to include – or exclude – the elements you like. Or dislike! The OziExplorer 4WD navigation engine shows your current position on a ‘moving map’ for more context AND a line showing the route you’ve taken to get to where you are now AND gives access to the regional maps. ALL of them. Score! The HN7 jumps through hoops! I first tested the unit out by deliberately taking wrong turns on a route I already knew so it couldn’t possibly trick me into assuming it knew better than I did. Not only did it immediately identify the ‘best’ route (ie the route I already knew), but showed a shorter alternative I DIDN’T know about with a few points of interest along the way I hadn’t realised were there. All while quickly recalculating my route to take my wrong turns into account. Using the 4WD navigation engine on a longer trip gave me a map view with the context I normally only get on my beloved actual paper maps. But with the added bonus of a) a GPS locator; b) a blue line showing the route I’d taken; and c) a zoom function for when I wanted a more detailed map of the small towns I was passing through – all made beautifully simple via d) an easy-to-use touchscreen. And when I’ve got over the shock of moving out of the dark ages into the brave new world of 21st century technology, I’ll start exploring some of the more ‘advanced’ (to me!) features like Bluetooth, Music Player, Photo Viewer, Video Player and PC connectivity. HHHMMMmmm… maybe there’s something in this advanced technology after all! HX1 Competition – YOU could WIN! I’m quite happy with my HN7 Hema Navigator. But now Hema Maps have released the HX1 – an updated version with all the fabulous functions of the HN7 AND a lot more! 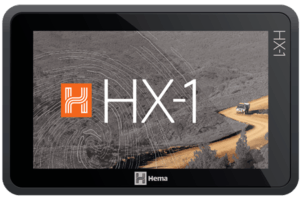 And in my most amazing collaboration to date, Hema Maps will be giving away an HX1 Navigator worth $AUD699 to one lucky RedzAustralia reader (Please note, the giveaway has now closed). Visit the HX1 Navigator or HN7 Navigator pages NOW! * Well … that’s not an exact quote, but that’s the general idea. Yes, but living in the dark ages of paper map world has its advantages, Nuraini!! The one main thing I get from maps that I don’t get from a GPS unit is going to visit a bit on the map coloured green – usually means a national park, or conservation park. But I think the Nav Unit has a feature called ‘find attractions’ or something like that – I’ll have to give it another test and see if it can find the green bits! Thanks for the opportunity to enter the competition. We have a Tom Tom but it is out of date so we have been using google maps on our phones but this drains the battery although I guess you could plug it into the car. Anyway a nice new GPS would be lovely. I want to go to Winton to see the dinosaur tracks and museums. Have you been there? love all your photos. Sounds like you could do with a new unit, Diane! Good luck if you enter!! Yes, I’ve been to Winton and it’s GREAT! Even though I didn’t actually go to the dinosaur tracks there were lots of other attractions!! Enjoy!! Yikes! I’m a bit like you Marion, paper maps all the way. Maybe, like you, I should try and update.. myself 🙂 Congratulations on the collaboration, that’s pretty exciting stuff. What camera are you using these days? I’m thinking about updating my Olympus OMD but being a procrastinating Libra it’s taking time to come to a decision. Thanks for letting me know about the comp, I’ll head over and have a squizz. Go for it, Grace!! It’s amazing what you can do with a navigation unit … and even more amazing what you can photograph when you reach your destination!! I’m using the Olympus Stylus – compact system version of the OMD. Not so keen on all the paraphernalia that comes with a ‘real’ camera, haha! thanks for this great opportunity to win a HEMA HX1 Navigator. We have an old model of the the Hema and have been thinking of making the jump and upgrading. We love our Hema as it shows us exactly where we are and we can also add our own GPS points for places we want to go back to etc. Like you Red I still LOVE my paper maps, and HEMA certainly make the best maps and map books – I’ve even got some of my photos in some of them! Thanks Red – and happy travelling. The units are so versatile, Jill! I can’t believe it took me this long to try out an alternative to the paper maps!! I bet I’ll be able to pick your photos – I’ll be looking out for them now!! Good luck!! You caught my attention when you said that the Navigator immediately updates your directions when you take a wrong turn. Mine takes forever! Then I just use my instincts until it finally updates! That was one of my favourite features, Natalie!! AND it’s certainly a LOT quicker than my brain is when I’m re-calculating a route on a map!! Yep, I definitely need one of those. I can manage to get lost just about anywhere. LOL! Sounds like a match made in heaven, Nina! Good luck!! Ah, but this unit isn’t just for cars, River! 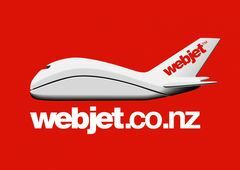 You can also select walking or public transport options!!! Even though you chose the simple model, it sounds very impressive. We have a built in car sat nav but it is quite complex to use. Plus we have two portable sat navs. Much simpler and quicker to get to know was the model in our hired campervan earlier this year. While they are great to get you to places, I find I don’t really know how I got to a place and would not really be able to travel the same way again by memory. So, on our road trip I used a combination of proper maps to plan the route and then the sat nav along the way. I don’t think it matters how good the device is, you can never get the sense of perspective that you get with a map laid out in front of you. Firstly I adore that first shot of the fence! I hear you, Pauline! But in some ways, following the road to see where it goes is easier with a Nav Unit – wherever you end up, it’s easy to find your way back to where you came from, or where you want to go next!